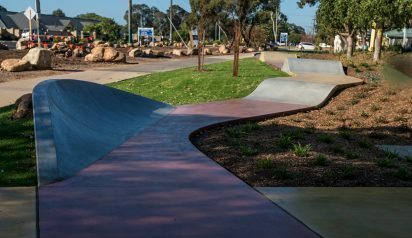 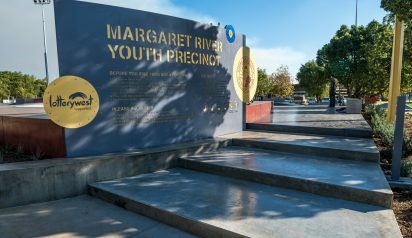 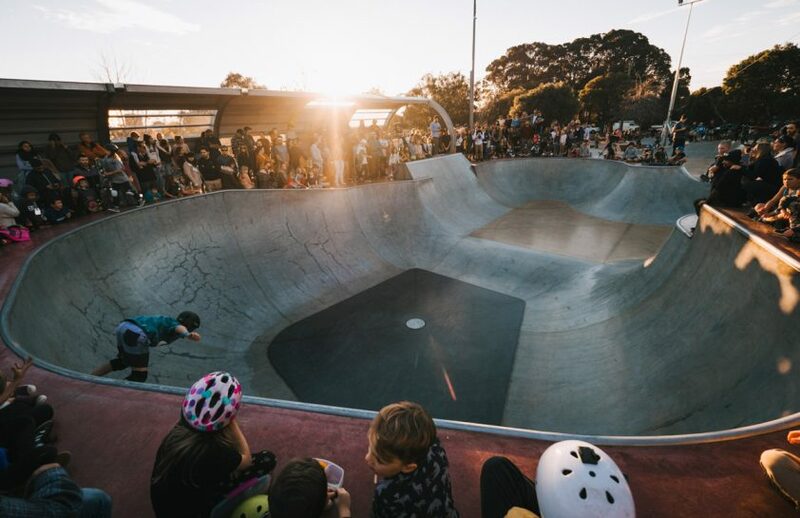 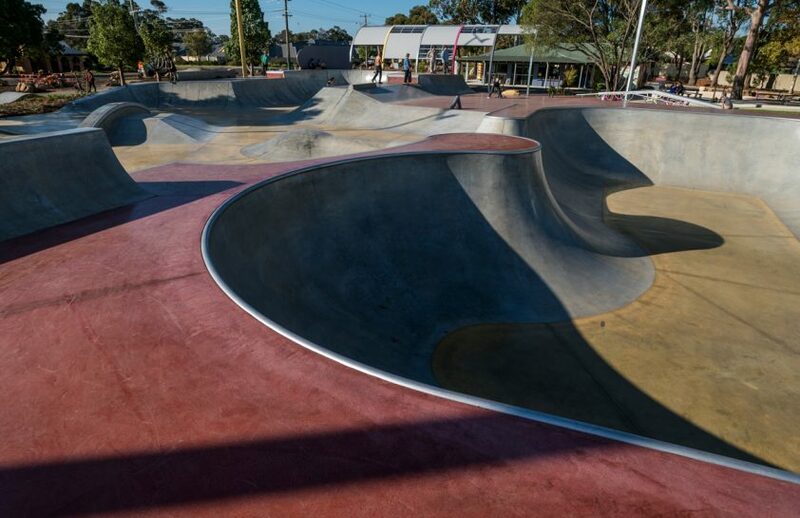 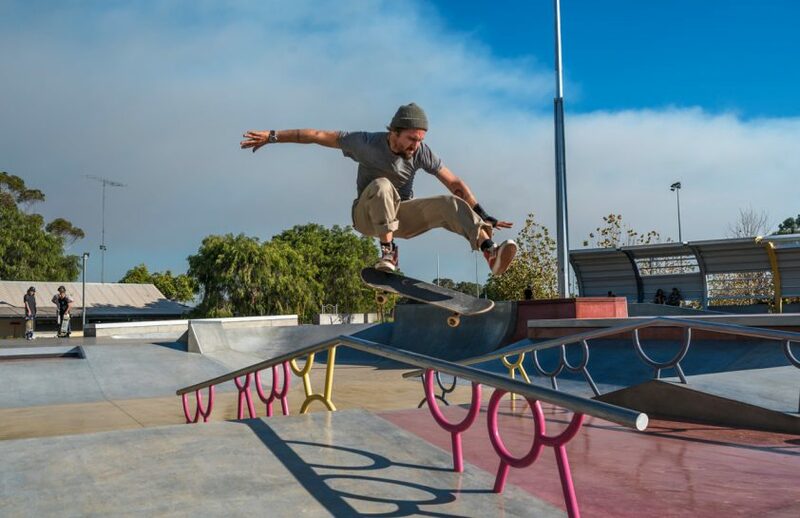 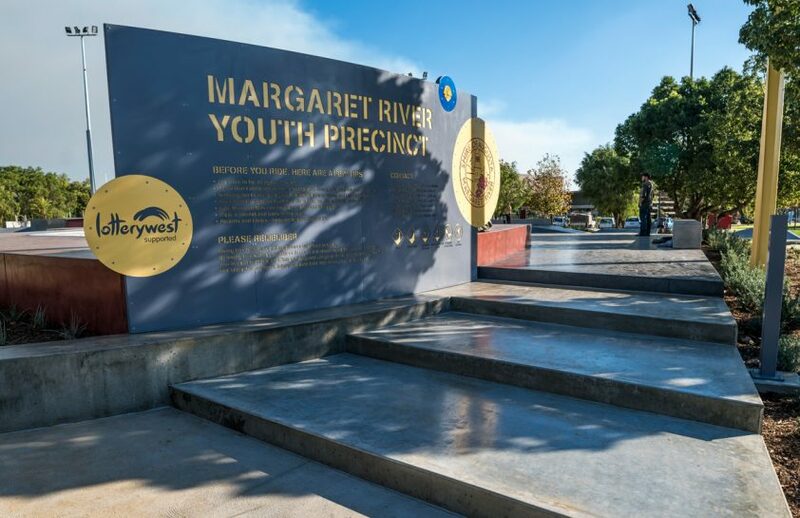 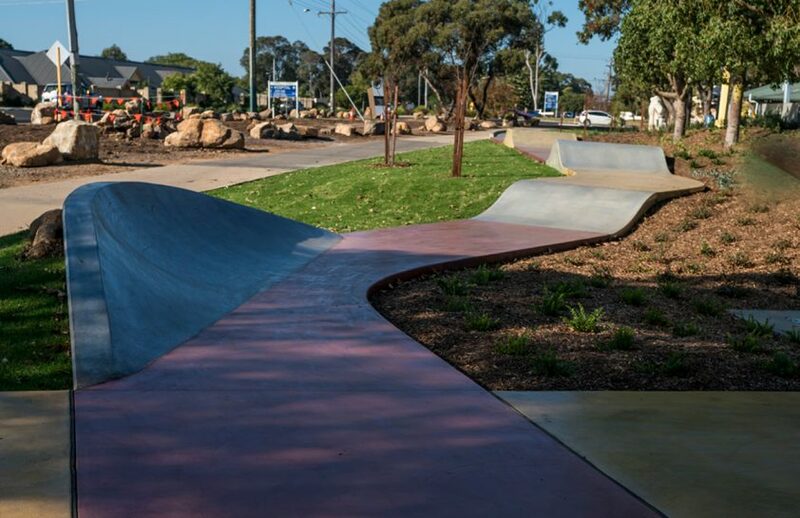 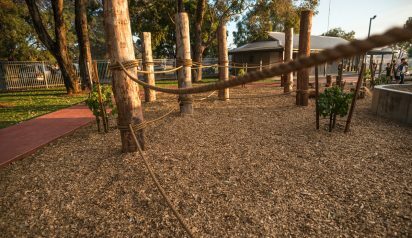 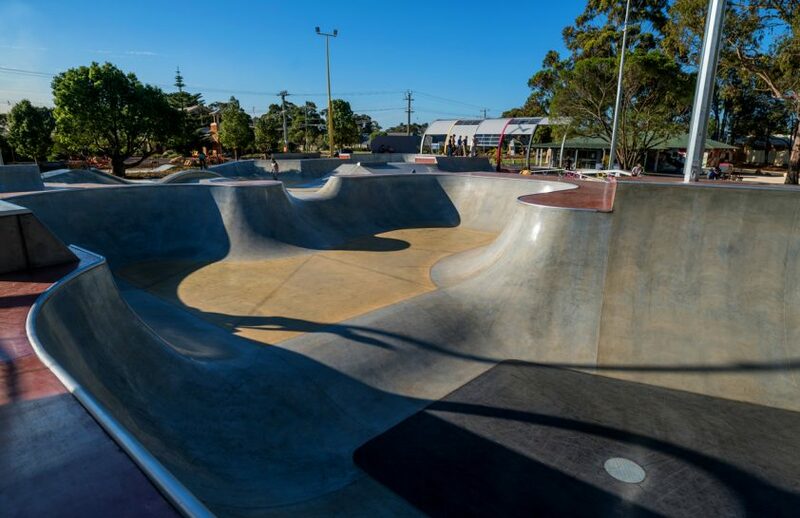 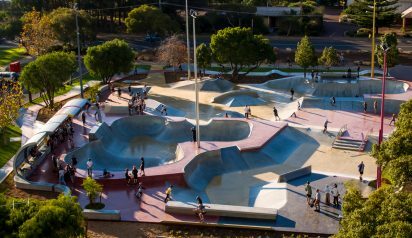 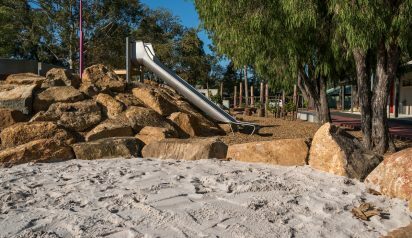 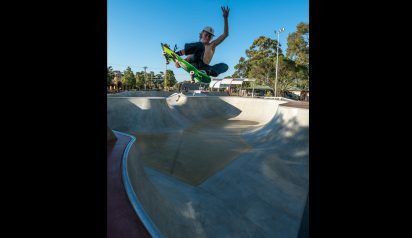 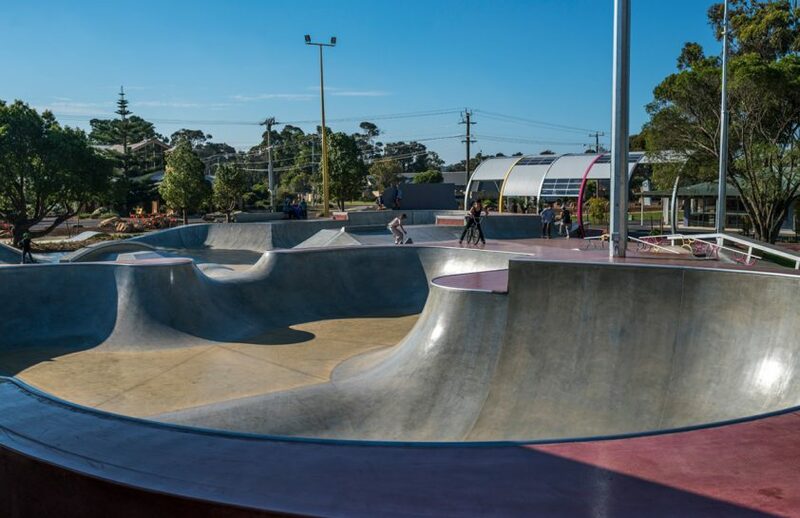 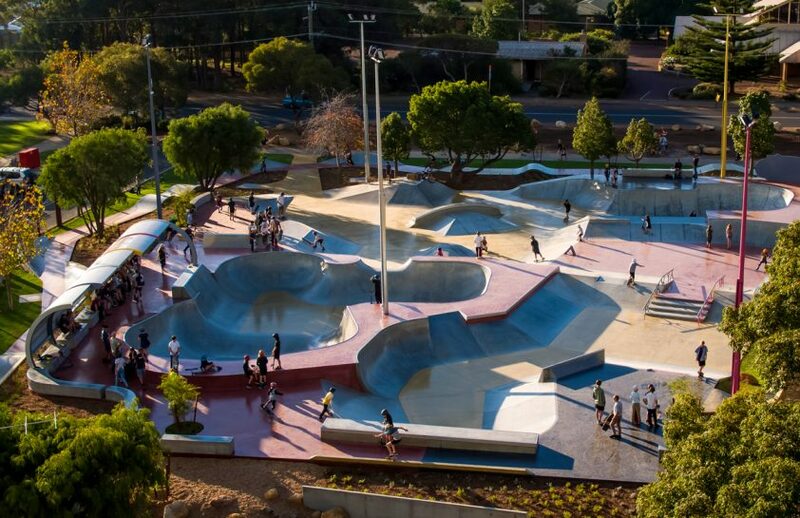 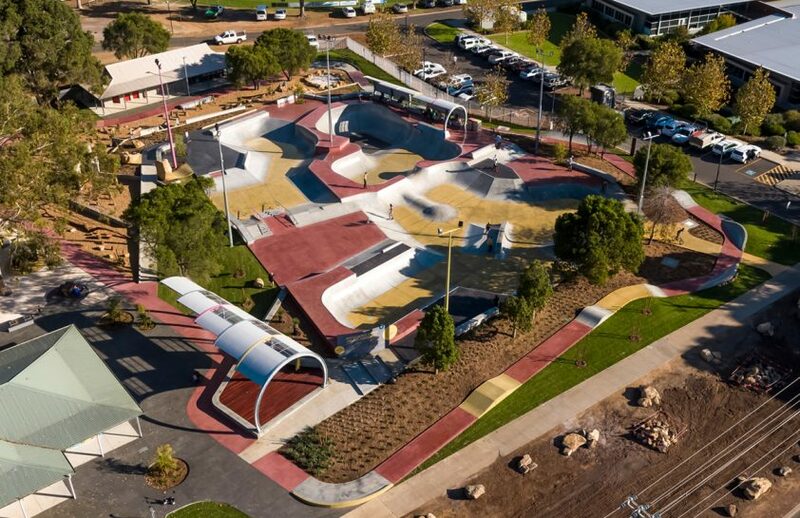 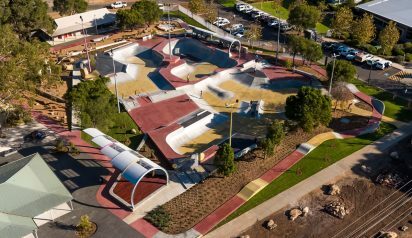 To return to Margaret River – being the birthplace of Convic – and the site of our first skate park 20 years ago, and now completing the design and construction of an all-inclusive youth precinct (which includes the upgrade and extension of the original skate park) has been a true honour. 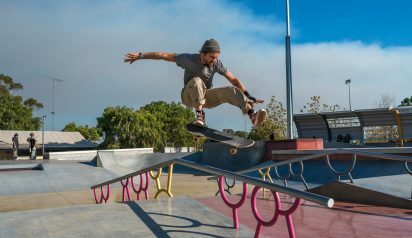 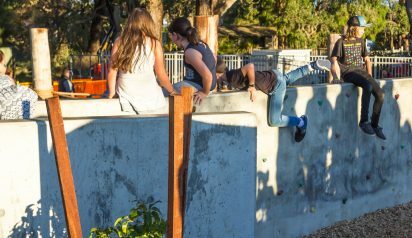 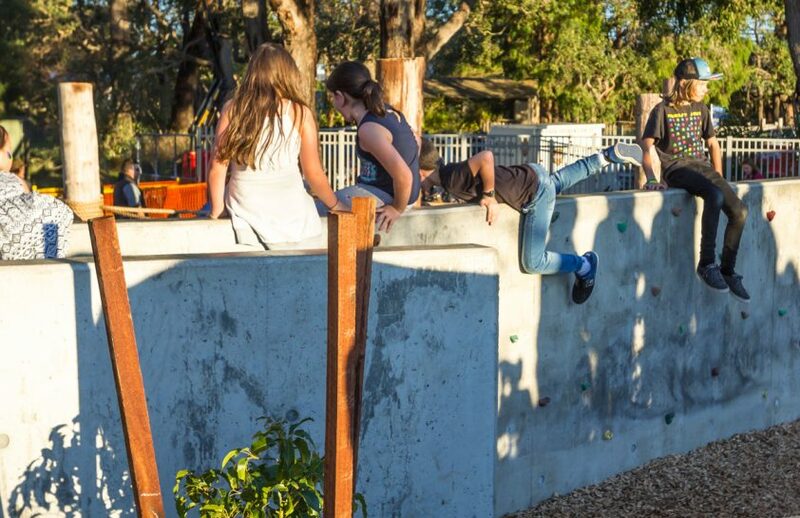 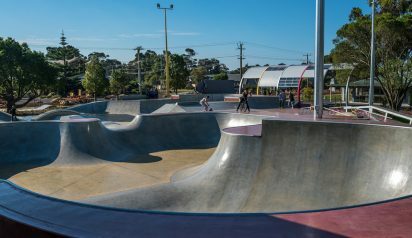 The 6,100 sq m Margaret River Youth Precinct has been designed as a unique youth and action sports experience. 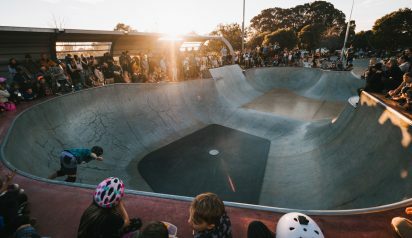 The strong surf culture of the area has been a major design influence in the largely transition nature of the skate area and in the shape of the two shelter structures as well. 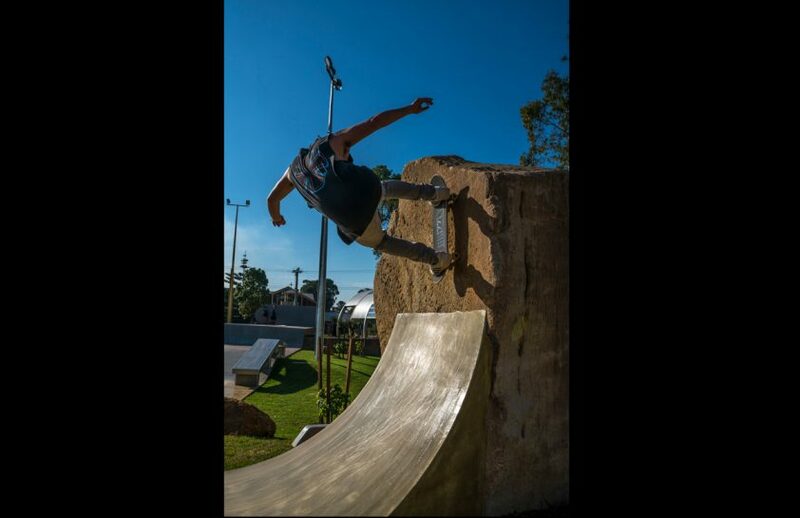 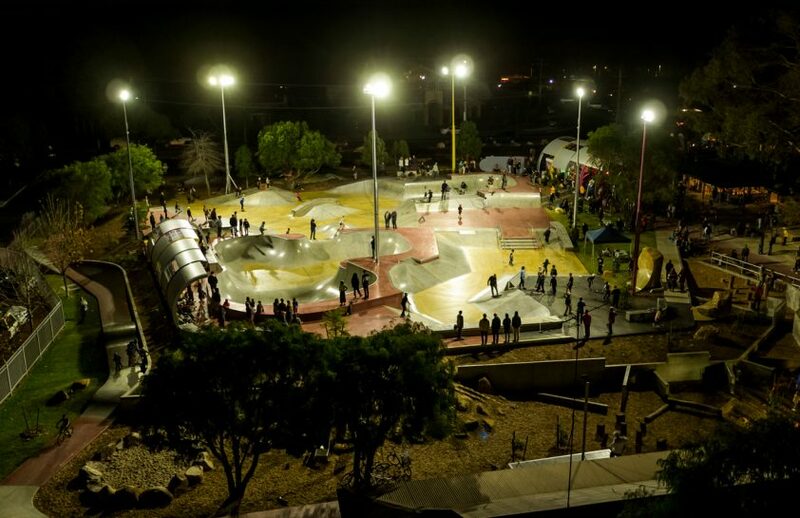 The facility caters for a range of action sports including skateboarding, parkour and climbing/bouldering and a first of its kind 250m long pump track which encircles the sports area. 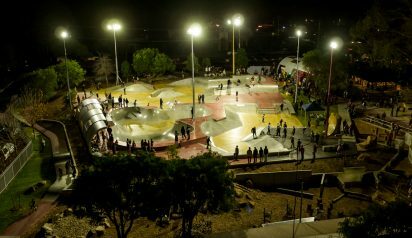 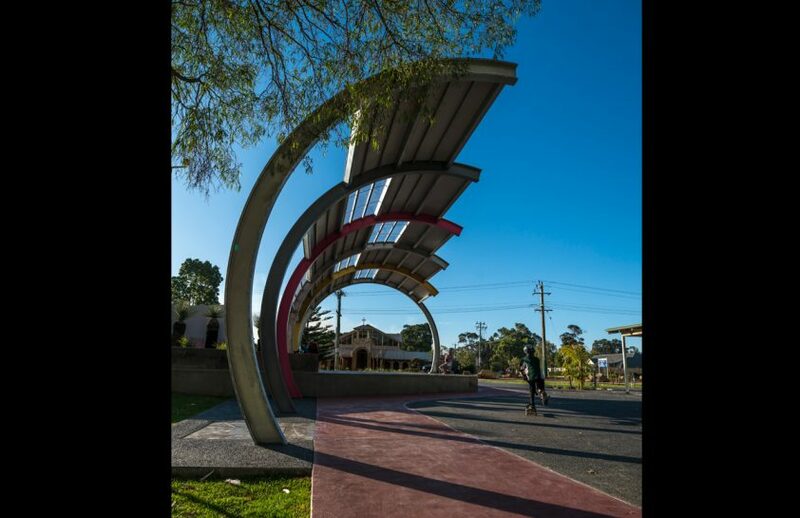 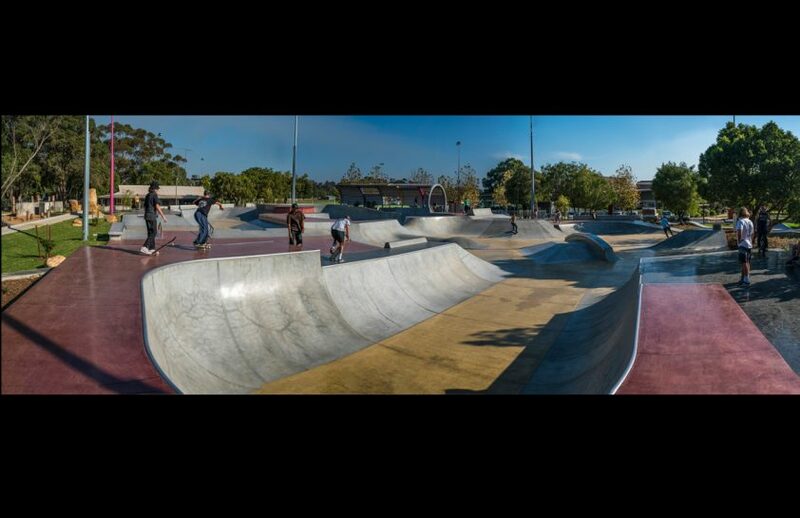 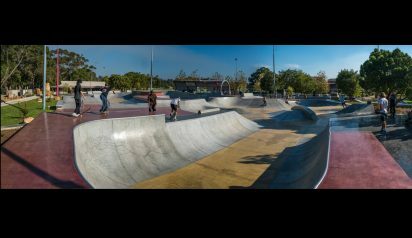 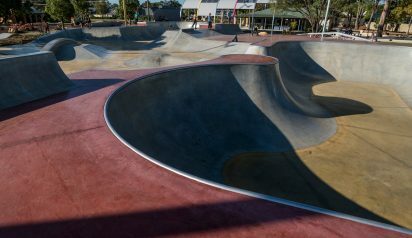 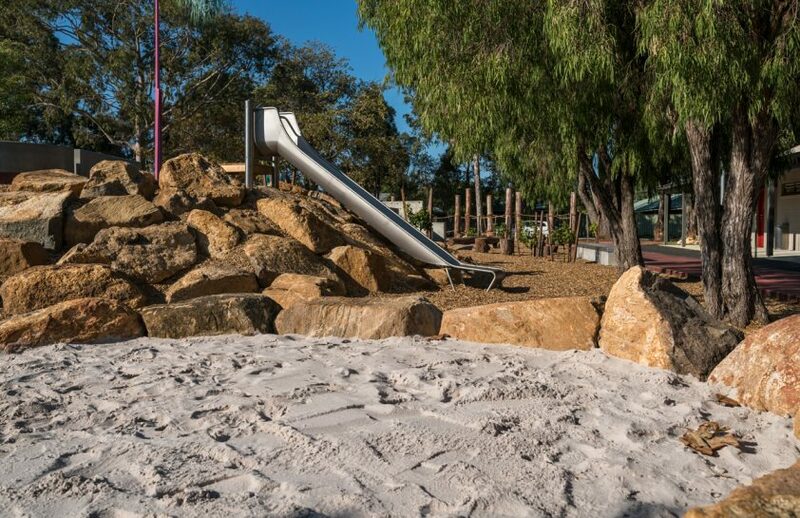 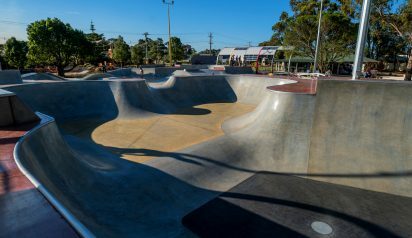 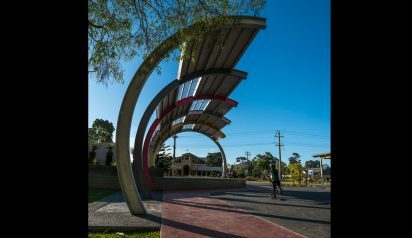 The skate area comprises a 3.1m deep international standard competition level bowl which is connected to the existing park area and a transition based street area, incorporating a feature rock skate element. 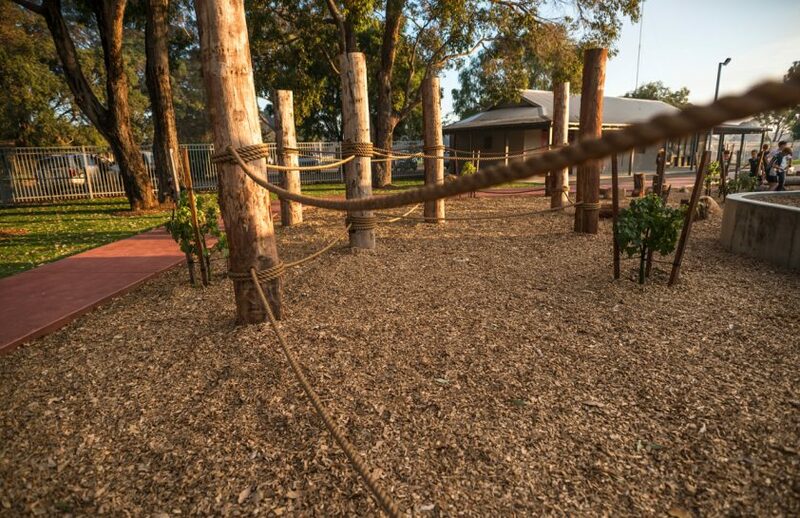 Offering something for the whole community the precinct contains a range of additional amenity including nature play and a ropes course, picnic and BBQ facilities, a performance and spectator area, lawn and garden landscape zones and ample shaded seating for the comfort of both active and passive users.